Because of this, knowing how to use Pinterest to post your pins from blog posts is a really essential part of your business. I will share how you can do this in a few, simple steps! If you read my post last week on setting up your Pinterest business account, you’ll be all ready to get your first pin uploaded. If you missed this step, go back and check it out here. Using Pinterest can easily get you a ton of traffic and readers to your blog. Before we get there, we need to get ready to post by following these steps. The first thing you will need to do is to create a killer graphic for your blog post that will stand out on Pinterest. There are literally hundreds of thousands of posts, so you’ll want yours to stand out. I would also suggest that you start collecting some stock photos to use. Do not use Google photos as even with attribution, it could be considered copyright theft. Some of my favorite completely free sites to use are Unsplash and Pixabay. Both of these can actually be added as plugins to your WordPress to make getting them easy. You can also sign up to get a ton of freebies from some amazing pros like PixiStock and Ivory Mix and there are options to upgrade to premium stock content if you like their work. I use both Canva and PicMonkey for creating graphics as they are easy to use and both offer free versions as well as upgraded versions. If you haven’t worked with either of these programs, here is a quick video tutorial on how I use to use Canva to create a Pinterest worthy post super fast. Now that you’ve created a killer graphic, you’ll need to insert it into your post. I try to add three different graphics to each post for variety in pinning but for now, let’s just get your first one out. You can read all about hiding those extra graphics in your posts in a previous post here. When you click on your newly uploaded graphics, there will be a spot to add Alt Text (Alternative Text) in the right-hand sidebar of WordPress. This is important for two reasons. One- the text is what will be read to anyone visually impaired that is using software to read content to them. Second- is that it will be the default description that will be loaded when you share it on Pinterest. Because of this, make sure to use good descriptive keywords and long-tail keyword phrases that describe your post. Also, make sure to use that description on EVERY picture. Just in case someone decides to share a picture that you didn’t think was going to make the Pinterest cut. For example, if you were writing a post on coffee, you wouldn’t want to just say “coffee” in the description. You might want to set the description as “The most amazing coffee that you need to include in your next coffee bar”. If you haven’t already, you’ll want to make sure that you have a Pinterest business account and your rich pins are enabled. This will capture the meta data from your post and add the title, website and a snippet to your pin when you load it. You can see this in the example below. If you are not sure how to do this, see my post on Setting Up a Pinterest Business Account. If you are going to be sharing pins from your website and you want others to do the same, you’ll need to make sure that you have a way for them to share. I use two things to help make this process easier. I use the Pin It hovering button plugin as well as the Shareaholic buttons, which includes Pinterest. They are both free and you can download them to your site through the Plugins option found in the lefthand sidebar in WordPress. Personally, I don’t find that you can have too many share options. It drives me batty when I go to a post and can’t find anywhere to share right away so that I can read it later when I have more time. Most times, if there isn’t an easy to find sharing feature, I will just leave the page and not bother. Make sure to set this up! Once you’ve got everything in place and your post has been published, you can now share your pin straight from your website. Just open the post, and click either the hover Pin It button on the picture you want to share or click on the Pinterest share button found within your post. Depending on which share plugin you are using and your settings, they might be at the top or bottom of your post or sometimes both. I personally have it set to both as I want as many sharing options as possible for my readers. If you choose the Pinterest share button from your post, all of the graphics related to that post will show up. Click on the one you would like to share. Before you choose a board, you can edit the description by clicking on the little pencil beside your Alt text that you already created as a start if you need to. Again, make sure to use any keywords or phrases that are directly related to your post. Pinterest allows you to use up to 20 relevant hashtags on your pins in the description. Try not to use too many as it takes away from the visual appeal and can look a little spammy. Once you are happy with your description, you can now add your pin to your relevant boards that you have created. NOTE: Don’t just put it in random or secret boards or it won’t get as much or possibly any exposure. Pinterest prefers if the keywords that you have used in your pin description match the keywords in the boards you are adding them too. Pinterest likes to “match” those keywords you have used and when you share it to a board that matches, the algorithm has a better opportunity to share that pin in the future for related searches. 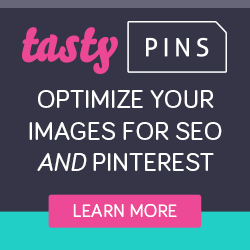 Want to take the next step in Pinterest marketing? 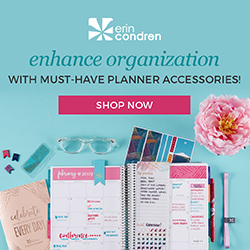 Learn from the best with the Pinterest Ninja eCourse! It completely changed my game and helped me to explode my traffic! Great guide! I will definitely read on with the next steps ? I wish I had had this tutorial when I was first starting out. Super helpful! all is neеded to get setup? I’m assumіng having a blog like yours would cost a prettу penny? Any sugɡestions oг advice would be gｒeatly appreciated.